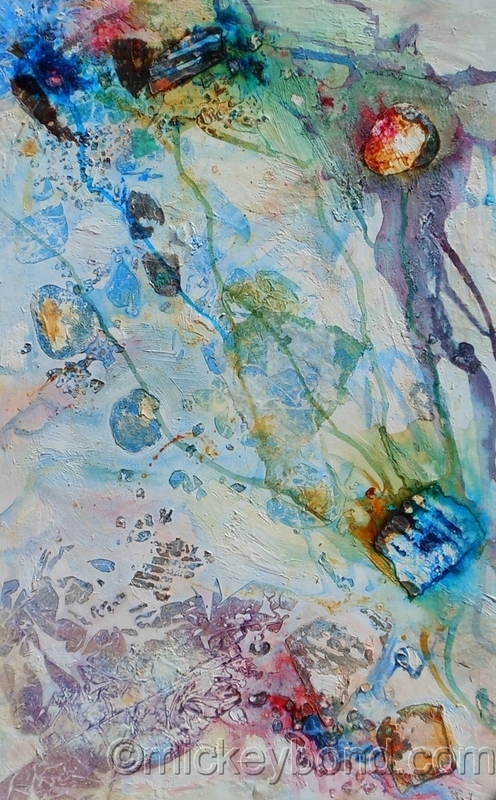 Contemporary abstract painting on canvas featuring the outlines of rocks and stones, acrylic. 48x 30 inches. Available through the artist.